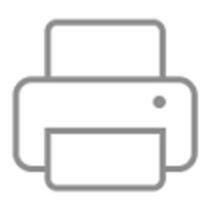 Now it is reality: Gyné invitro offers pre­implan­tation genetic testing (PGD) and screening (PGS) effective immedia­tely, for which we already see a great demand. 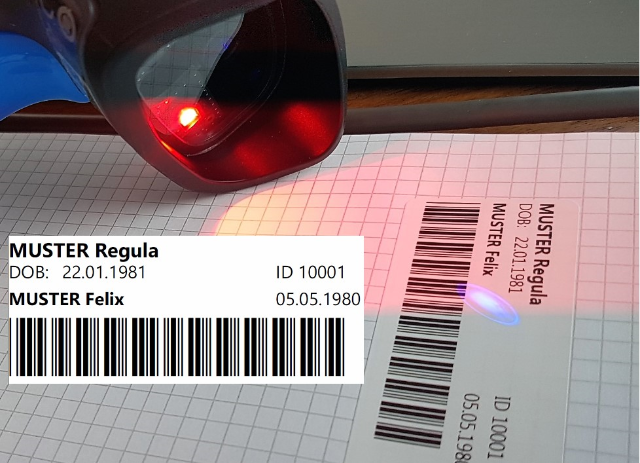 The cantonal permission for PGD/PGS rewards our huge effort in introducing the new technologies and updating our quality management system, which was extensively scrutinised by the authorities. We are very happy and will use the new methods in a sensitive manner. who is a candidate for PGS? 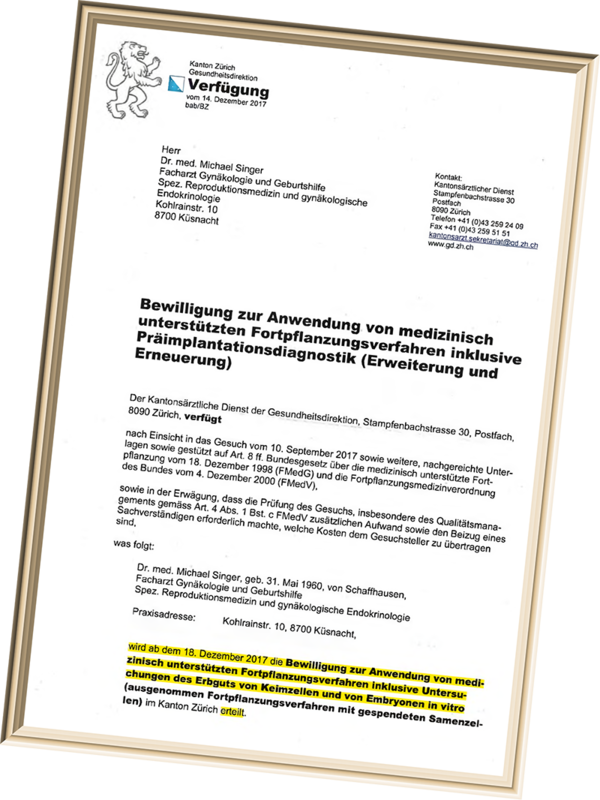 … - together with many long-awaited changes - significantly tightened requirements on Swiss IVF laboratories. We have extensively re-worked our quality management system and introduce photo ID and barcode identifications in every instance when we accept sperm or eggs from patients (including simple treatments like inseminations). The system is paperless and fully electronical. At the end of a very busy year, we are grateful for the trust and confidence placed in us. Our in-house clinic and cleanroom IVF laboratory «Gyné invitro», which was opened in April, is working impeccably and has already produced many pregnancies. In 2016, we could achieve 61 pregnancies in 123 fresh cycles (49.6% at an average age of 36.8 years), i.e. we maintained exactly the already high success rate of the previous year. Next year, we are looking forward to the enactment of the liberalised Swiss law in September 2017, which will enable us to introduce pre-implantation genetic screening (PGS) in selected cases. Photo collage of all 65 successful embryo transfers that I performed between April 2016 (the opening of our clinic Gyné invitro) and the end of 2016, i.e. those who produced a clinical pregnancy. Every birth of a healthy baby after successful IVF still leaves us fascinated and deeply humbled. A hot political topic in Switzerland. In 2015, the Swiss voted by a very clear margin of 62% to 38% in favour of a liberalisation of reproductive medicine. Opposition arose against pre-implantation genetic diagnosis, more specifically against testing of embryos in cases of infertility (as opposed to genetic testing only in cases of known inherited genetic disorders), which is why the resulting law was challenged and will be subject to another public vote on June 5th, 2016. 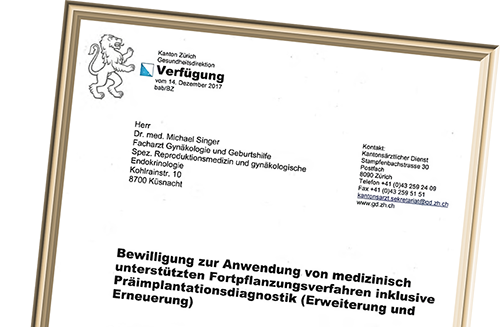 In case of another YES - which we are hoping for, together with the whole reproductive medicine community of Switzerland - we could offer the technique mentioned below starting in 2017. Even in young couples, the majority of naturally conceived embryos has an abnormal chromosome count, mostly because the female egg, which should give one copy of each chromosome to the embryo, gives two (leading to a trisomy) or zero (leading to a monosomy) instead. This phenomenon is called new mutation, more specifically non-disjunction and increases exponentially with the age of the woman; it represents the biological background for the steep decrease in fertility and increase in miscarriages in women over the age of 35 years. 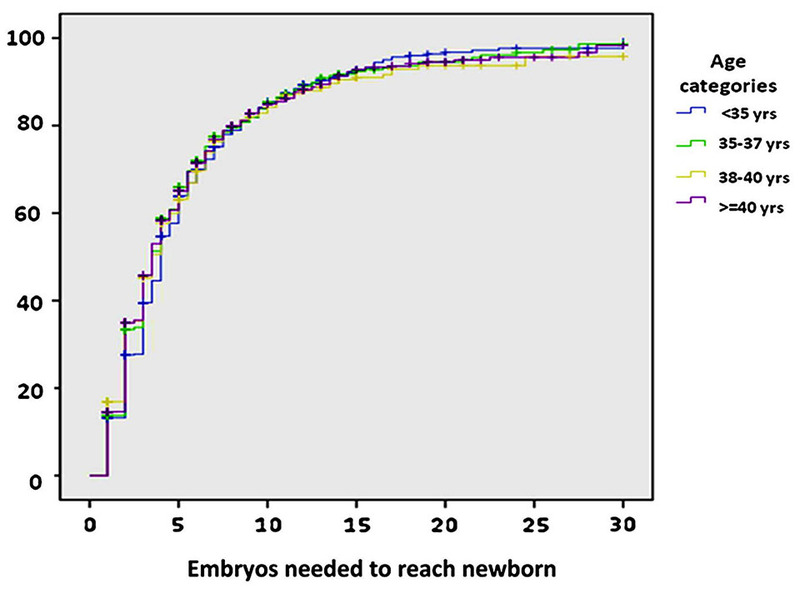 Blue columns: the proportion of abnormal embryos increases continuously from 69% in the age group below 35 years to literally 91% with 42 years. Red columns: in the majority of patients over 40 years, no embryo transfer was possible because no healthy embryos were available. 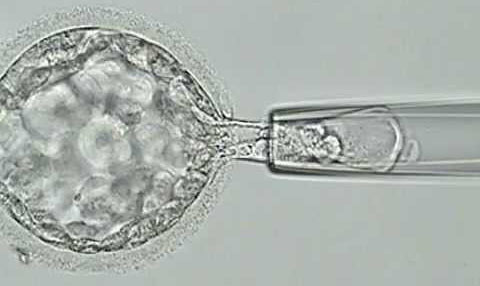 Next, the Spanish investigators examined the effects of transferring only genetically normal embryos. The effects are impressive (see graph below): even women over 40 can have pregnancy rates above 50% and hardly suffer miscarriages. Blue colums: if normal embryos are available, women can attain pregnancy rates over 50% almost independently of their age. 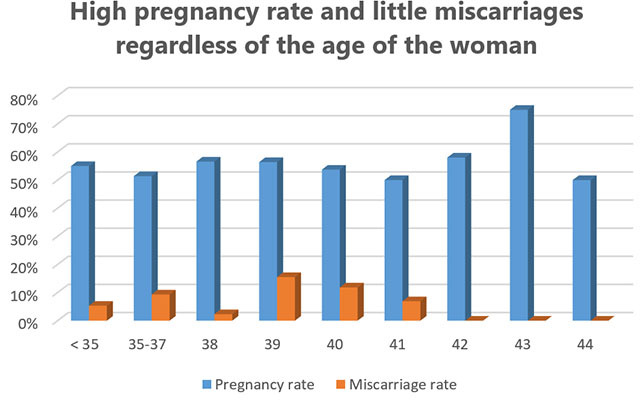 Red columns: the frequency of miscarriages (which would otherwise approach 50% in women over 40!) remains low. The «de-selection» of genetically abnormal embryos induces political and ethical opposition. 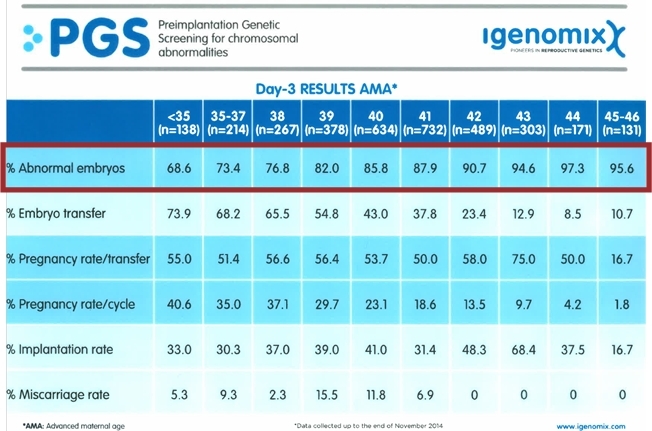 Is it correct that PGS enables us to cold-heartedly eliminate embryos which could have lived? To find the answer, we need to look at another graph. 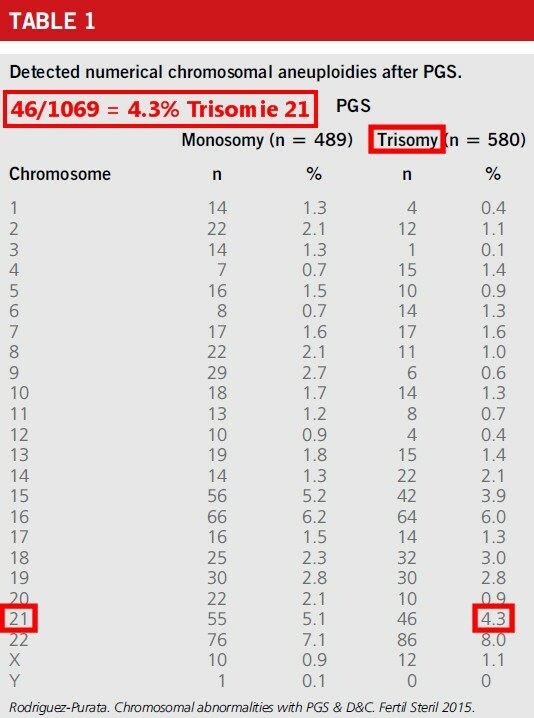 Only 4% had trisomy 21, the remaining 96% suffered from another of the 46 possible maldistributions (click on image to show the original data). Pre-implantation genetic testing with aneuploidy screening (PGS) is a promising and contemporary tool which is legal in most parts of Europe. It serves a minority of IVF couples, i.e. those in difficult situations and/or those whose time is melting away. By far not all IVF couples will resort to PGS, given the effort, complexity and additional cost, only those with a clear medical indication. Over 95% of abnormal embryos on PGS are completely unfit for implantation or would have produced painful miscarriages, increasing time to achieve a pregnancy and extra economic cost. PGS improves the efficiency of difficult treatments and prevents miscarriages. In older women with little time, it can make the difference between having a child or remaining childless. If your German is good enough, this was my detailed comment on a celebrity pregnancy of a woman aged just over fifty years. It gave me the opportunity to communicate some key facts about the woman's biological clock. The graph on the right underscores the massive connection between age and success rate. 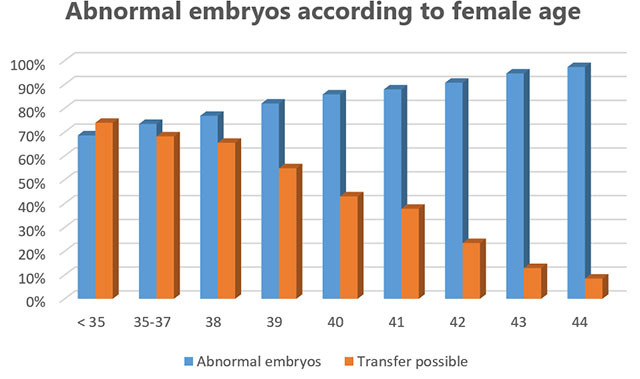 After transferring ten embryos, the probability for a baby is 70% in a woman under 35 years, 65% between 35 and 37 years, 60% between 38 and 40 years and only 30% beyond 40 years. 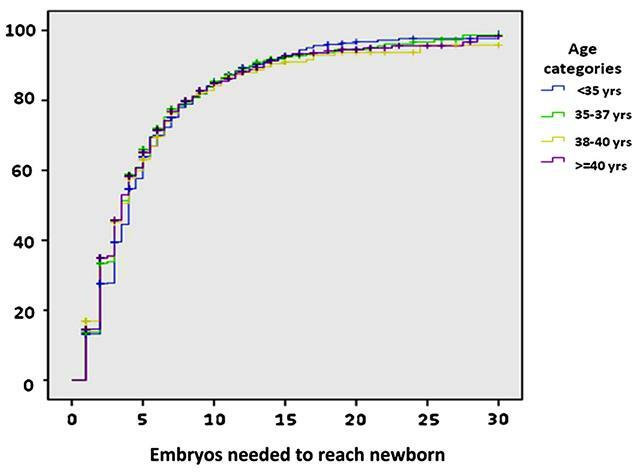 The same graph with donor eggs shows no connection to female age at all (Garrido et al., Fertility and Sterility 2012). This proves that it's only the woman's ovaries that are ageing, while the rest of the body is perfectly fit to carry a pregnancy until 45 or maybe 50 years of age. do i have an implantation problem ? Many patients are in doubt about their body already after one or two failed attempts. They wrongly assume that their bodies «did not accept» or even «rejected» the embryo(s). It is a fact that way too many tests for so-called implantation problems are carried out too early worldwide. 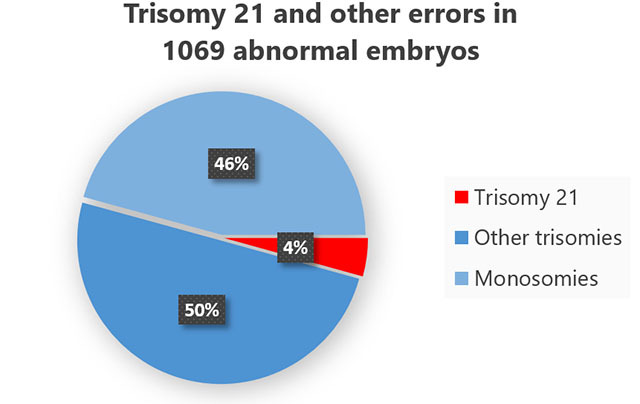 The following graph in German shows that some testing should only be performed after having transferred six to ten embryos without success. 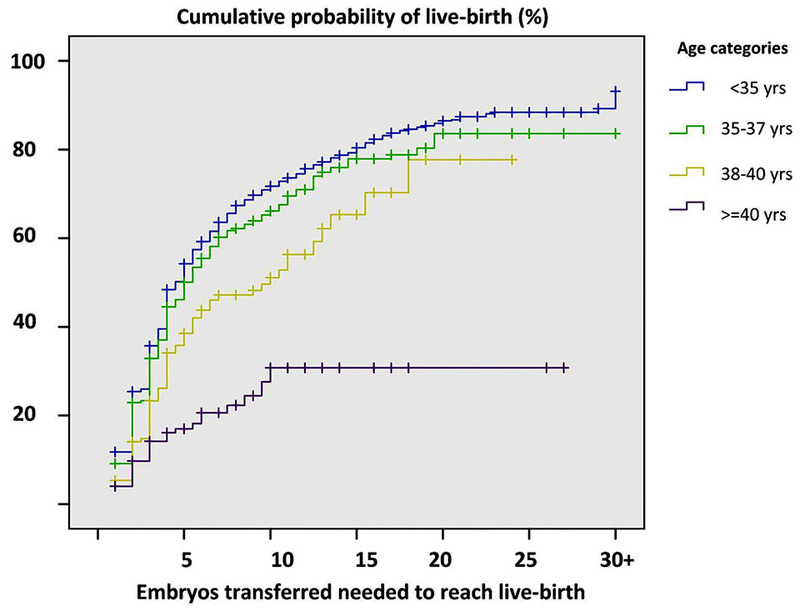 Probability of failure according to number of embryos transferred (left column). Red column = fresh cycles in women below 35 years of age, blue column = thawing cycles or fresh cycles in women over 40. Only if the percentage drops below 30%, one could assume an implantation problem. Only hysteroscopy and laparoscopy with removal of obstacles to implantation (like fibroids, polyps and liquid-filled Fallopian tubes) are of proven success. Testing for blood clotting disorders and immunological problems is very controversial worldwide; let us counsel you. The statistics above show that you should not doubt your body nor the medical team too early. Pick an IVF centre where you feel comfortable and go through a series of treatments without questioning every detail.